Brooklyn, NYC where they paint pictures of Biggie was a perfect place to raise a young musician. The city&apos;s elaborate melting pot of music proved an irresistible challenge - how do you please a generation of kids who grew up listening to whatever those mean streets could throw at them? 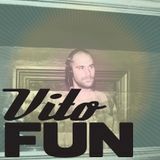 The answer is simple - Vito Fun knows what you like, because he likes it too!